Have you ever rolled into a golf course, seen the sign welcoming you to the property and wondered, How'd they choose that name? Don't lie, you have. Sometimes, the name is plainly obvious, with a course named after a pertinent person or geography. Other times, it's not clear. And that's where we come in with the occasional feature How It Got Its Name, where we explain what's behind the names of some Billy Casper Golf courses. 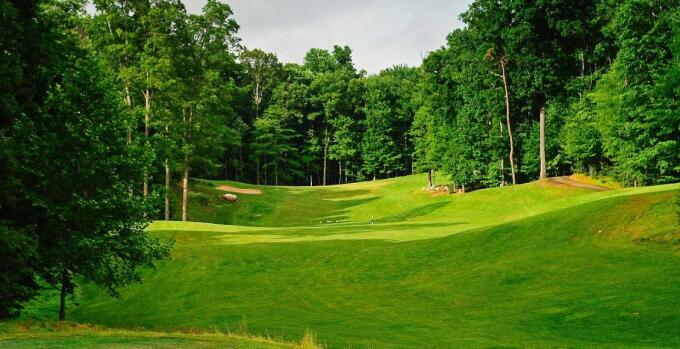 General's Ridge in northern Virginia might offer a hint to the history behind its name, but it's not very specific. Let's fill in the gap! Confederate General George Ewell and his troops camped on the property that is now the 18-hole course during the Civil War. Ewell was actually born in 1817 in Georgetown, which once was a separate town in the District of Columbia. He grew up in Prince William County in northern Virginia. Ewell graduated from the U.S. Military Academy at West Point in 1840. He climbed the ranks in the military, in part, due to his bravery in the Mexican-American War. He remained in the Southwest, serving in the New Mexico territory until he had to return to his boyhood home state after suffering from a vertigo-like illness. Although Ewell was generally pro-Union, he resigned his commission from the U.S. Army when Virginia seceded from the Union in 1861. And that's where General's Ridge, at least the property on which it sits, comes into the story. Ewell led a brigade of the Confederate Army of the Potomac into First Battle of Bull Run in 1861, using space on what is now the course's fourth hole as a camp site.